To start of this blog off I am crossposting asomething I wrote a while ago. At the height of my procrastination efforts, I have made a criminological mixtape. Enjoy! The first written version of ‘Little Sadie’ is dated 1922. In its long history the song has been recorded Bob Dylan, Johnny Cash, Woody Guthry, and many others. 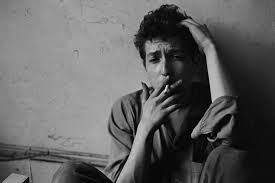 Dylan wrote this song at the age of 22, after reading about the killing of Hattie Carroll in a newspaper. In 1963, on the same day that Martin Luther King Jr. held his ‘I have a dream’ speech, the white tobacco farmer William Zantzinger had been sentenced to six months in prison and a 500 $ fine for manslaughter after killing Carroll, a black barmaid, in a drunken rage. Dylan turned the case into a powerful metaphor for race and class in America that transcends time and space. This entry was posted in Criminology, Procrastination and tagged Contributer: Grace, Crime, Culture, Music on December 4, 2013 by Grace Krause.